The Electoral College is vital to voters across the country. Without it, voters in the largest sardine can cities will control campaigns and elections, and tyrannize voters in less populous and/or very remote areas. This fear at The Constitutional Convention was the primary concern of the less populous states. That's why there is not only the Electoral College, but the legislative "coolant of the Senate (now considerably impaired by the 17th Amendment to The Constitution), and The Tenth Amendment crown to the Bill of Rights. Quite simply, without these things, there wouldn't have been a Constitutional Compact and The United States of America. 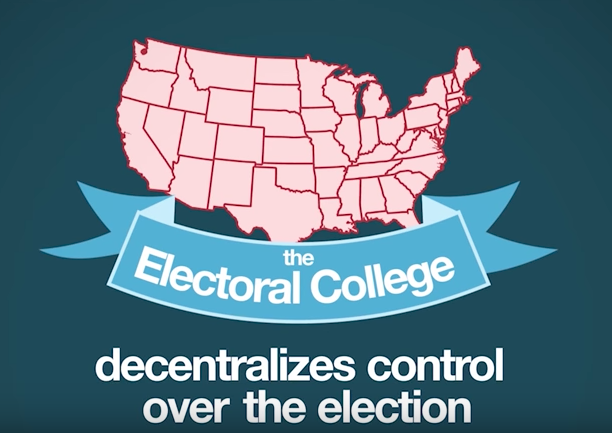 But the simplest way to absorb the what and why of the Electoral College is probably to watch the 2 short videos included below and with this article, and MAYBE to read the article.